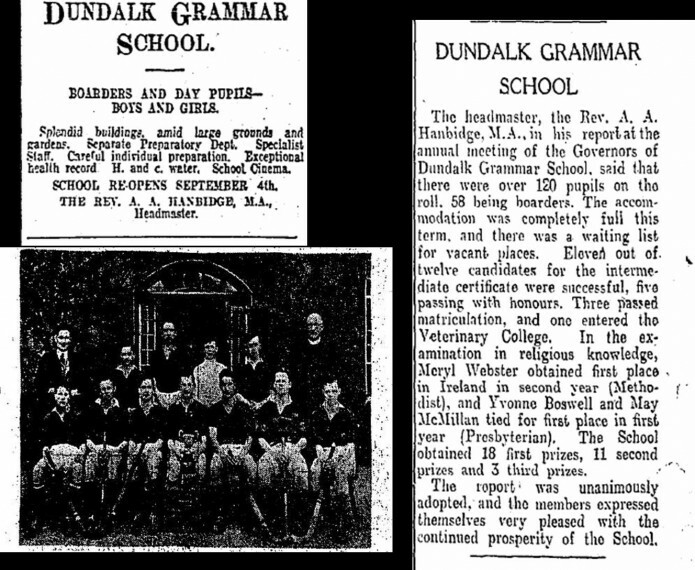 Dundalk Grammar School has a venerable history. From 1739 to 1835 it was a Charter School. In 1835 it was reorganised, largely by the Revd Elias Thackeray, as the Dundalk Educational Institution. It was in abeyance during World War I, and in 1921 was revived by a local committee and reconstituted as Dundalk Grammar School. This committee was later enlarged and became the Board of Governors. The Governors meet frequently and are assisted by the school’s Board of Management, which has representatives from the Governors, staff and parents. The school is under Protestant management and is mindful to see that the prevailing ethos has its roots in that tradition. Since 1739 the school has been closely associated with the Incorporated Society for Promoting Protestant Schools in Ireland.